Learn bridge! 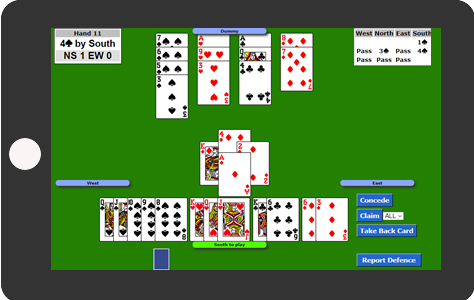 No Fear Bridge is the most fun way to learn how to play bridge online. 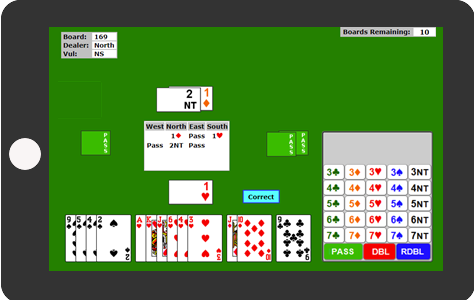 No Fear Bridge contains a wide variety of online learning activities suitable for beginners, improvers and advancers to learn how to play bridge well. You can sample some here without registering. Click on an image to start the activity. Over 2000 instructional hands to play with solutions. Topic pages with activities grouped by level and topic. Hundreds of bidding quiz questions all with feedback. Weekly quizzes on bidding and lead. Test your skill against other visitors and see your progress on 'My Progress' graph. Practice your Acol bidding without a partner! A set of 70 colour coded bridge flash cards on basic bridge bidding sequences. No Fear Bridge Basic Bidding Flash Cards are available from our online shop. Print free crib sheet. Includes the basic Acol bidding sequences, scoring etc. UK style Acol bidding. 1NT 12-14. If you would like to receive our occasional newsletter, click below. Your email address will only be used by No Fear Bridge and not passed on to anyone else. Now our new site at www.nofearbridge.com allows you to learn and practise the American style Five Card Majors bidding system used in most parts of the world. Never played bridge before? Try our free MiniBridge lessons and be playing within minutes! www.learnminibridge.com is No Fear Bridge's free online website for complete beginners at bridge! MiniBridge is a simplified version of the game of bridge. 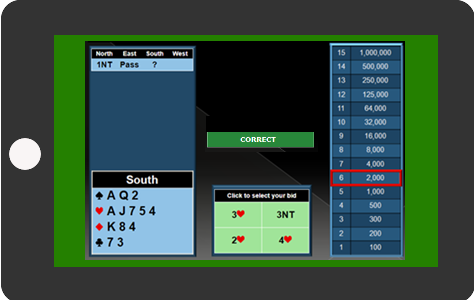 MiniBridge enables you to start playing bridge right away without having to know all the rules for bidding. 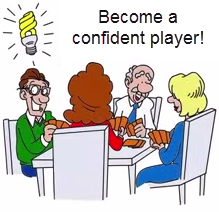 A great way to get started learning how to play bridge! Teaching resources and discounts for your students. 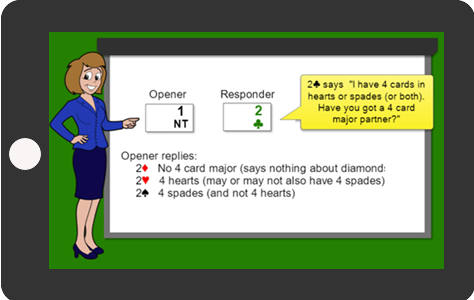 No Fear Bridge was created to provide a variety of online activities with the aim of making learning how to play bridge easy and fun. No credit card or other personal details are required for the free trial. Just a valid email address to receive your password. Instant access to all the activities!